Speed and reliability without compromise; when performance matters. Dedicated hosting provides high performance web hosting with a focus on tuning your server to meet your individual business’s needs and maximise your server utilisation. 24×7 server monitoring and support ensure we resolve problems before they impact you. Complete Cloud specialise in high performance hosting. We have geared our technology towards providing customised high performance hosting that will exceed your expectations. Our customers have come to expect the best from our service for good reason. Our Australian data centre provides consistent fast page loads with 99.9% uptime full stop. Your server hardware, software and traffic links can be customised and configured to your server to suit your requirements. 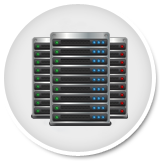 Your dedicated server will provide you with the best performance available on the market today. Complete freedom allows you to configure custom firewall set ups including changes to ports and protocols. If that doesn’t make sense, don’t worry. We can sort it all out for you. We have invested in servers and a multimillion dollar data centre with redundancy and dedicated servers on demand so that you can invest your capital into your business. Our dedicated servers come with a commitment to work with you to understand your business’s needs and continue to tweak and optimise your server to suit your day to day business activities. Our dedicated team work to understand your business and what makes it tick to allow us to focus on the areas that are important to you. We benchmark ourselves on how happy our customers are with their service, not how many customers we have. This is a priority in every aspect of our business. We don’t just support your dedicated servers. Our team will regularly work with you to analyse your server utilisation, and make recommendations to help meet your business goals. If you have a preference for working with a particular member of our support team, you can choose them to be your preferred contact. This helps build knowledge about your business and servers. 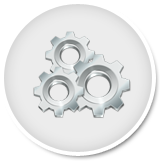 We proactively monitor our servers and resolve any potential issues before they impact your server. If there is an issue, our dedicated support engineers are on the case day and night. We monitor our infrastructure closely and proactively resolve issues before they turn into problems. We provide 24×7 phone, email and chat support. We are always there when you need us. We work with you to identify your server utilisation and have a mountain of servers available for you to scale up or scale down depending on your traffic. We help you make the most effective use of your resources by showing you how to utilise your infrastructure to work for you rather than sitting idle. Not sure which hosting is right for your business? View our services below or contact us on 1300 736 600. We can create the right package for you. Quality reliable hosting with a smaller price tag. Resources are shared with a common IP address making hosting more affordable. 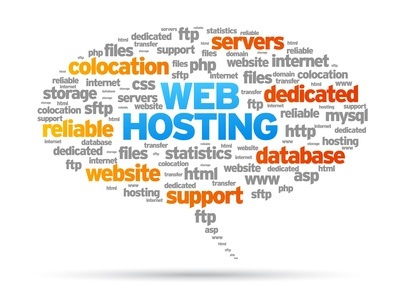 Shared web hosting details. Your own virtual server on shared hardware means you can configure your server and install software that you require with a dedicated IP. VPS details. If you need complete control over your environment or have a high volume of traffic, dedicated hosting is for you. Complete Cloud can create the right package for your business. If you’re after something specific call us on 1300 736 600 or contact us to tailor a package for you.